Last night, I was fortunate enough to see the last show of the Foster the People with special guest, Kimbra, tour. It was a sold out show at my favorite venue, The Cosmopolitan in Las Vegas! I recommend this venue to anyone who wants to see their favorite artist in an open, more intimate atmosphere. It’s rooftop, poolside and overlooks the Las Vegas strip, with the Eiffel tower from the Paris hotel within plain sight. 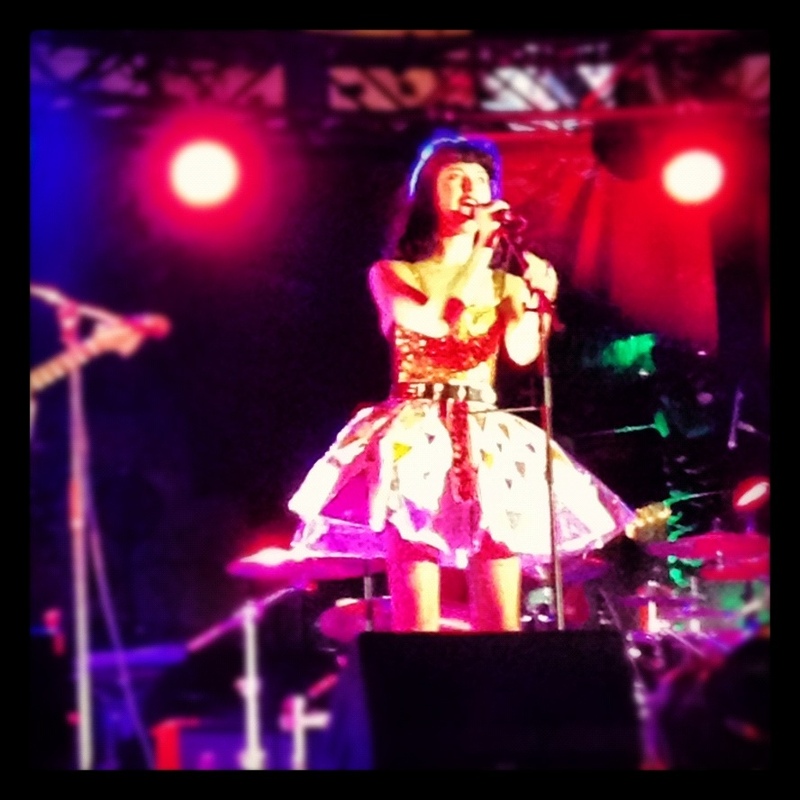 Kimbra put on a spectacular performance! I have seen her live performances online and was impressed, but that didn’t stop me from being in awe throughout her entire performance. Kimbra’s vocal range combined with her classy, yet spunky attitude and how she somehow manages to mix it up with some slight booty poppin makes for a visually and auditorily pleasing performance. 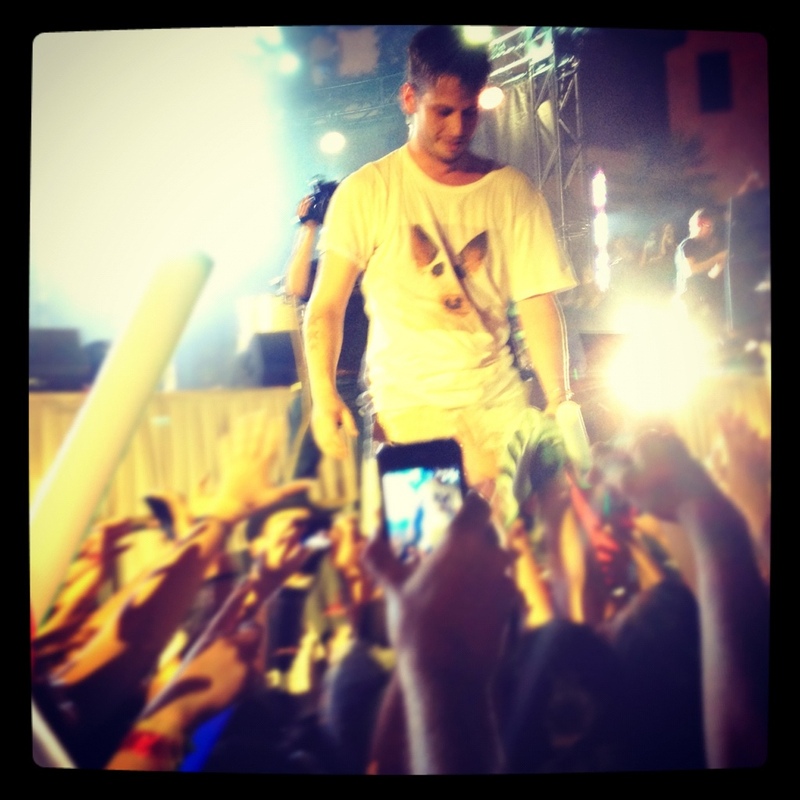 Foster the People did not disappoint me either. They are easily one of the best bands I’ve seen live and I will continue to vouch for them. I saw them this past December at Seattle’s Deck the Hall Ball so I already knew I would be in for a treat. From Mark Foster’s eclectic dancing to their uptempo feel good beats, Foster the People is the band to see if you want to have an all around feel good. Whether their song be slow or fast, each song is easily danceable. Kimbra joined Foster the People on stage to do “Warrior,” Mark Foster got pranked by his band during their encore and ended the show in the crowd. All in all, just about each factor to this show (minus the heat) made for probably the best show I’ve been too. Foster the People wrapped up their tour, but Kimbra will be touring come fall and you don’t want to miss it!